System 636® PVC is classified as Type BH Class IIA vent suitable for use on appliances with flue gas temperatures up to and including 65ºC. Sizes include 1-1/2", 2", 2-1/2", 3" and 4". Colored white with unique blue certification markings, System 636 PVC pipe is made to sturdy SCH 40 dimensions to provide a strong, rigid pipe for the application. 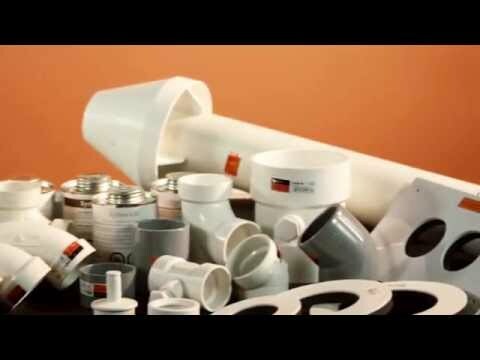 We offer a full range of System 636 PVC vent fittings and accessories. System 636® CPVC is classified as Type BH Class IIB vent suitable for use on appliances with flue gas temperatures up to and including 90ºC. CPVC sizes include 1-1/2", 2", 2-1/2", 3" and 4", 6” and 8”. Colored grey, System 636 CPVC pipe is also made to sturdy SCH 40 dimensions to be tough enough for the application’s demands. Our full line of System 636 CPVC fittings are available in SCH 80 dimensions.